Hi! My name is Fitz Villafuerte. I’m a Registered Financial Planner and a regular guest in ANC On The Money. Below is a screen capture of my very first guesting on the show back in 2012. It was an episode where I shared “My Money Story” and how I became a millionaire. 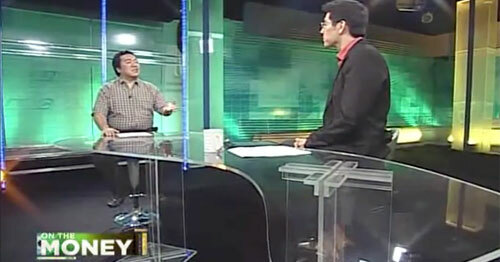 My very first TV guesting in ANC On The Money back in 2012. Back then, I was just a blogger who writes an online journal about financial freedom. I felt really lucky that one of the show’s producers stumbled upon my blog and decided that I’m worthy to be a guest on the TV show. After the interview, and when my friends saw the episode on TV, they all asked me for help on how they can also learn about investing. I told them I learned through reading books, and then I gave them the list of those that I read and found helpful – books that was written by Napoleon Hill, Robert Kiyosaki, Dave Ramsey, Warren Buffet and many other bestsellers. After a few months, most of my friends came back to me and said that they found those books very educational, but they don’t know how to apply their learnings in the Philippine setting. For example, Dave Ramsey advised in his book that you should maximize your 401K contributions because it’s a great investment. My friends scratched their heads because there’s no 401K in the Philippines, that’s only for Americans! 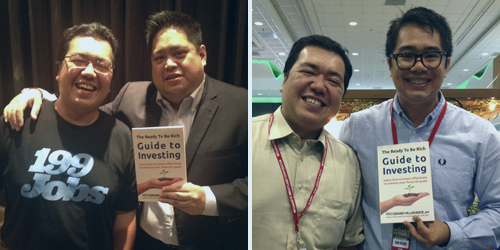 I love learning, and I really took the time to study the many different types of investments in the Philippines. But everything I know about investing, I only learned through self-study and experience. I had no formal training on it. I thought that if I wanted to really help other Filipinos, and not just my friends, on how to become investors, then I should update my knowledge and avail of proper financial education. And this is why I decided to enroll in the P21,000 RFP Program and worked on becoming a certified Registered Financial Planner. 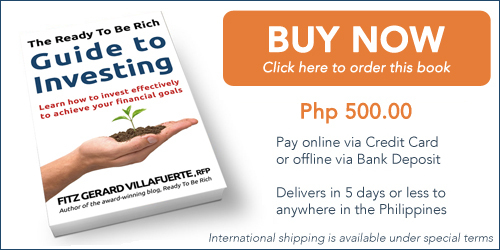 I believed that by becoming an RFP, I will expand my knowledge about investment planning, and I can help other people much better, especially on how to create an investment portfolio that’s applicable for Filipinos. 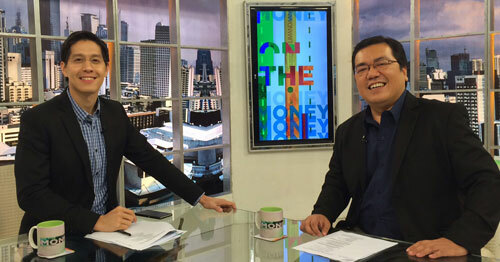 When I officially became a Registered Financial Planner, ANC On The Money invited me again to be a guest in the show. This time, as a resource person about wealth management. That TV appearance was followed by another invitation, and other channels and TV shows also began inviting me to be their guests! If there was one important thing I learned through those times, it’s that a lot of Filipinos have no idea where and how to start investing. 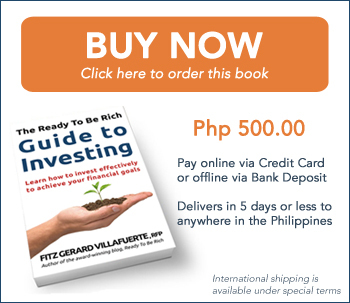 Pinoys want to invest in the stock market, in mutual funds, in real estate – but they don’t know the first steps to take. And this is the reason why I decided to write a book about investing that caters to Filipinos and one that gives exactly a practical, step-by-step guide. My book, the Ready To Be Rich Guide To Investing is written specifically to help you learn how to invest effectively and achieve your financial goals. One chapter at a time, it will teach you the concrete steps you must take to grow your wealth and become financially free. This book is not just a compilation of articles about investing. 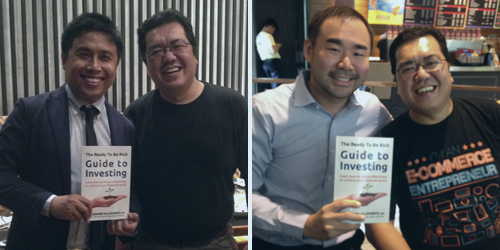 It’s also a personal workbook with easy-to-understand lessons that will transform you into a savvy investor in no time. 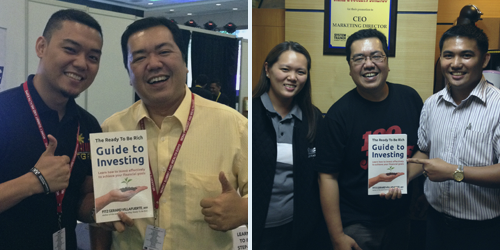 As you can see in the photos above, a good number of top financial experts in the country today have shown their support for my book. And I hope you can also show your support by getting your very own copy today. Think about it, you can choose to treat yourself to a buffet lunch or spend a couple of hours at the spa, and feel good for a day or two. Isn’t that a better deal? So I hope you make the right choice today. Fitz Gerard Villafuerte, RFP is a civil engineer who decided to quit the corporate world back in 2003 to pursue entrepreneurship. His blog, Ready To Be Rich, has won several awards including the Best Business and Finance Blog at the Philippine Blog Awards. He has also been recognized by Moneysense Magazine as among the Top 12 Most Influential People in Personal Finance in the Philippines. He is a Registered Financial Planner and a resource speaker for corporate and socio-civic organizations in the country where he actively promotes entrepreneurship and financial literacy.